Waves are created by disturbances which cause vibrations. Download "Waves are created by disturbances which cause vibrations." 2 Wave Motion Waves are created by disturbances which cause vibrations. Vibrations produce a back-and-forth type motion called an oscillation. wave simulation The number of vibrations (or waves) that occur in one second is defined as the frequency of the wave. The time it takes to complete one vibration (back-and-forth) is called a period. 3 Parts of a typical wave: Crest wavelength Trough Amplitude Crest highest point of the wave. Trough lowest point of the wave. Wavelength the distance between identical parts of a wave. Amplitude height of the wave measured from the horizontal reference point. 6 Practice: The Sears Building in Chicago sways back and forth at a frequency of about 0.1 Hz. What is its period of vibration? 7 Practice: Stringed instruments produce sounds by vibrations of the strings. If a harp string makes one vibration in 2.3 x 10-3 seconds, what the frequency of the sound? 9 For Practice: A bumblebee can flap its wings at a rate of 130 flaps per second. If the speed of sound in air is 340 m/s, calculate the length of the wave created. 10 For Practice: While on the beach, you observe that the wave crests reach the shore about every 2 seconds. If the distance between the waves is 5 meters, at what speed are the waves traveling? The waves are really slow today..
13 Other examples of transverse waves include: People doing the wave in a large stadium. 15 Light and radio waves are transverse waves. And so are other electromagnetic waves. 19 Sound waves are longitudinal waves. 20 Interference Interference is caused by two or more waves overlapping. Interference can increase the amplitude of a waves, decrease the amplitude of the waves, or cancel each other out. When the waves increase in amplitude, it is called constructive interference. 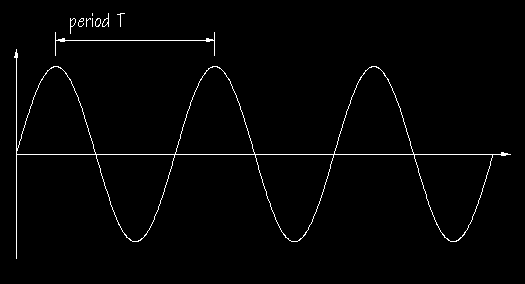 When the waves decrease in amplitude, it is called destructive interference. 22 Can you find the points where these waves cancel each other out? 23 Standing waves When two waves intersect each other, sometimes a standing wave is produced. Standing waves look like this: The higher the frequencies of the waves, the more nodes that will form. 24 Standing waves are produced in musical instruments, whistles, and when you blow in a pop bottle. Toot! Toot! 29 Materials that transmit sound: A sound wave is a longitudinal wave. In order for the wave to continue, particles must be present. Sound will not travel in a vacuum. (There are no particles present.) Sound will travel through air by moving the air molecules back and forth. Sound travels through liquids and solids louder and faster than it travels in air. 31 For practice: How far away is the storm cloud if the thunder is heard 3 seconds after the lightening is seen? 32 For practice: Why does your voice sound higher when you breath in the helium from a balloon? While Irish eyes are smiling. 33 Natural frequency & forced vibrations All materials have a natural frequency at which the molecules vibrate. This explains why forks and knives clatter, wind chimes chime, and rubber mallets thud. And drums drum. 37 The number of beats heard can be calculated by finding the difference in the two interfering frequencies. Ex. A 100 Hz sound wave and a 102 Hz sound wave will produce a 2 Hz beat frequency. This concept is helpful when tuning musical instruments. If beats are heard, then the instruments are not in tune and need to be adjusted. Most people can hear up to a frequency difference of 10 beats. 38 Practice: While tuning a violin a frequency of 3 beats is heard? After slightly tightening one of the strings, 2 beats are heard. What should the person tuning the violin do? 39 Practice: Two notes are sounding, one which is 440 Hz. If a beat frequency of 5 Hz is heard, what it the frequency of the other note? 40 The Doppler Effect The Doppler effect occurs when the source of a wave is in motion. Sound waves travel in all directions from the source. 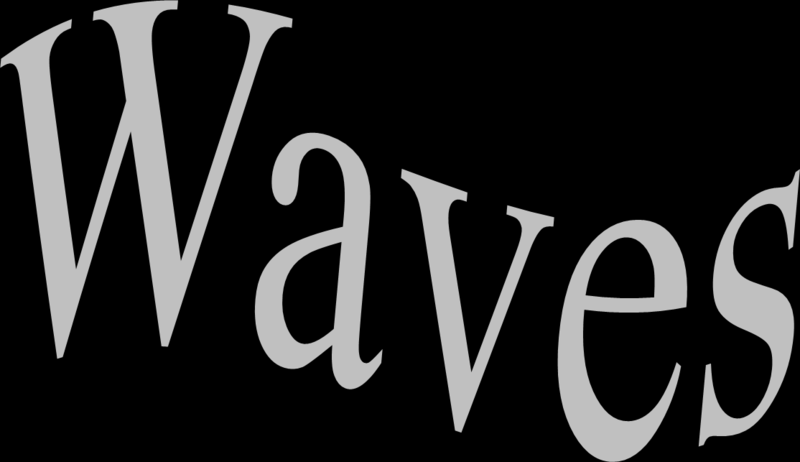 The waves are equally spaced according to the frequency of the sound. 41 If the source is moving, the pattern of the waves might look similar to this: Direction of motion Waves behind become spread out. A lower frequency is heard. Waves in front become compressed. A higher frequency is heard. 43 Let s Review: Two types of waves Draw a tranverse wave Draw an arrow showing the direction of the movement of particles in the medium in that wave. Which direction do the particles move in a compressional wave? What typ of wave is a sound wave? Draw another wave above that wave with a higher frequency. Draw another wave below with a lower frequency. 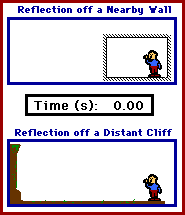 Draw a diagram showing Doppler Effect. 45 SONAR Reflection of a Sound Wave Sound travels through Water at a speed of 1500 m/s. 46 A sonar pulse returns in 3 seconds from a sunken ship that is directly below. 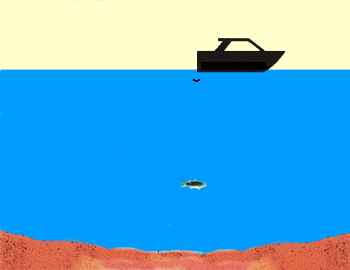 How deep is the sunken ship? www.ptg.org Visit the Piano Learning Center of the Piano Technicians Guild at www.ptg.org for more fun ways to learn about the piano. Unit 12.3 Waves Topic 1: Types of waves Topic 1 deals with the properties and types of waves (see Syllabus pp. 28 29). It covers: Longitudinal waves. Transverse waves. Electromagnetic waves. Sound waves.